Please forgive me for being so irregular with the posts. A lot has been happening on the home front and I can't seem to find time for my precious blog. This is also one of the reasons driving me nuts :). But I promise to be back with a bang with loads of posts and looks for you. Price: INR 199 for 85 gm of product (I got this at a discounted price of INR 183). 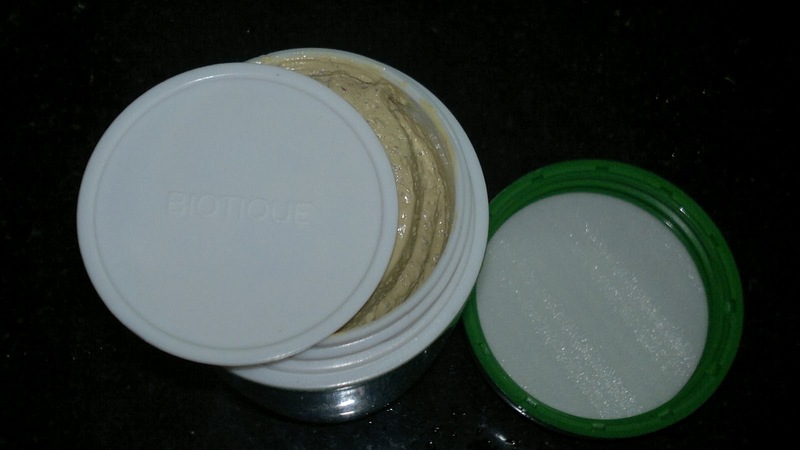 Packaging is standard Biotique tub packaging of which I am not a huge fan. 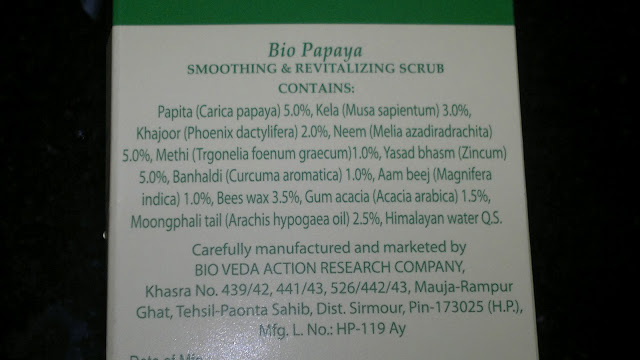 I have mixed feeling for this scrub, though a physical exfoliant it is not very harsh on the skin. 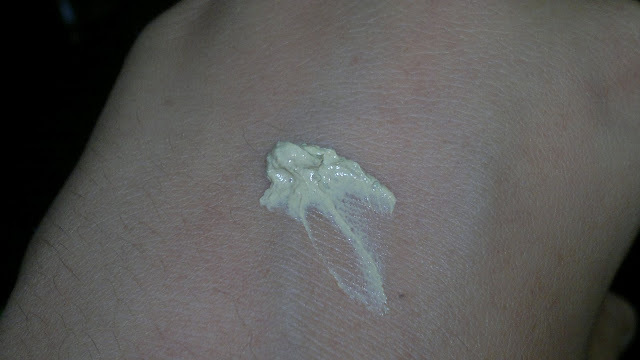 As seen from the swatch above the scrub has lot of creamy material along with the small granular material. The scrub works fine in removing blackheads and white heads from my skin. Also, the skin feels brighter and cleaner after using this. 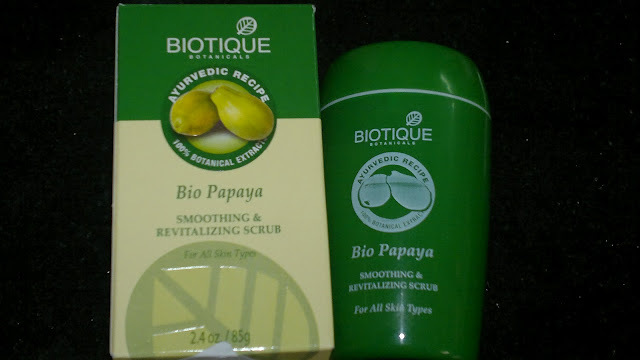 I don't experience immediate dryness after using this scrub. apart from this I don't like the tub packaging as I don't like putting my fingers inside the tub each time. Also, I feel that the quantity provided is less compared to the quantity provided. Product rating: A-, available at most online beauty shops and chemist shops. Overall a decent scrub for all skin types during winters. Personally won't be purchasing this again. nice review...I am a great fan of biotique products.. heard they are out with color cosmetics too now.